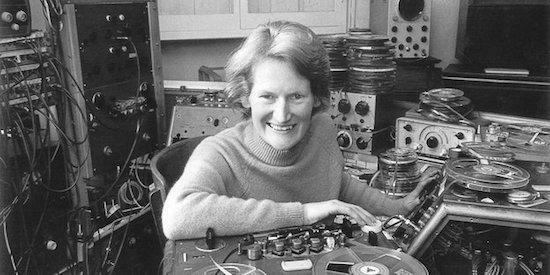 Works by Daphne Oram and Laurie Spiegel will receive their premiere at a special concert taking place as part of this year's BBC Proms. 'Still Point', a lost composition by Oram, which was recently rediscovered after 20 years, will be played live for the first time as part of the concert later this month. It was written for turntables, electronics and an orchestra, and will be performed by composer and turntablist Shiva Feshareki. 'Only Night Thoughts', a new piece by Spiegel, will also be performed by the London Contemporary Orchestra, under the leadership of Robert Ames. The concert will take place on July 23. The night will also see a performance by Suzanne Ciani focusing on the Buchla 200e synthesiser. She will look back on pieces she first wrote for the instrument in 1975. You can find more information on the concert, taking place at London's Royal Albert Hall, here.